With a population of just over 685,000 people, Boston is a small city compared to the four biggest cities in the country. 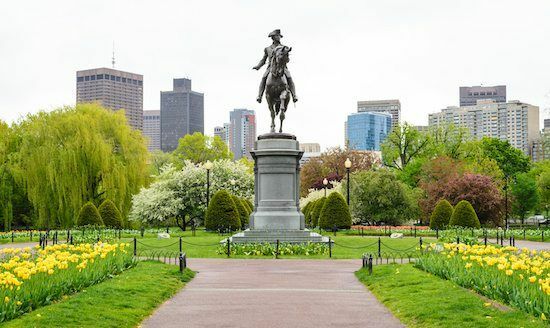 When it comes to looking for luxury apartments in Boston, it’s important to understand that the Boston real estate market, is a super competitive one. You’ll get a better sense of what’s available and how much you must pay for a place if you take the time to learn about the diversity that exists throughout Boston neighborhoods. Regardless of your work status or type of lifestyle you live, one of the realities of living in any city is that conundrum of getting from point A to Point B. Getting around in Boston is relatively easy if you use public transportation. If you’re relying on a car, your transportation costs will be substantially higher when you factor the price of gas, car maintenance, and parking – whether at home or your workplace. The closer you live to train stations, metro lines, or bus stops, the higher your rent will be. Ride sharing services have also dramatically reduced transportation costs so this seems to be a huge trend in Boston. Many people are opting to get rid of their vehicles and use cheaper ride sharing services. In many instances it is a lot faster to uber and get dropped off than having to look for parking. The accessibility of any neighborhood you are thinking about living in is one important and often forgotten consideration by would-be renters. Think about the ease with which you can run routine errands, get to coffee shops, restaurants or other venues that you may go to for entertainment or to socialize with friends. Being able to easily get to those places can make neighborhood life more enjoyable, but there may be factors related to those amenities that make a particular neighborhood more expensive. You may be able to justify a higher rent if you don’t have to rely on a car to get to these places – or to get to and from work, school, or your business. If you’ve done any research about living in Boston, you’ve undoubtedly figured out that every neighborhood in the city has its own unique character and also price. Rent prices vary widely from neighborhood to neighborhood and even a couple streets away can make a huge difference. Be aware that the hippest, trendiest, and swankiest neighborhoods are often very competitive, and expensive. The closer you are to downtown, the higher the average rent prices will be. The closer you live to highly sought after amenities, stores and transportation, the greater the demand. With greater demand comes a much higher price. That’s the way the real estate world works in Boston. The sizes of the apartments also generally get much smaller as you reach the core of the city. If you are looking for a larger apartment; they tend to be a little bit further out. So your apartment maybe bigger, but your commute will be longer. There are trade offs in any city and Boston is no exception. It doesn’t matter whether you’re looking around for homes for sale in Boston or you’re hoping to get the best bang for your buck on luxury apartments in Boston. There is no better way to get a feel for a community than by spending time walking around, scoping out quintessential local shops, or dropping by a coffee shop or popping into a bar to grab a drink. The people who live and work in the area will help you get a sense for the neighborhood vibe. You’ll also get a glimpse into what your future life will be like in the community you choose for your new home.